Who knew? 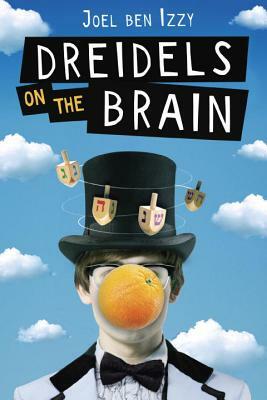 A wonderful middle-grade novel with Hanukkah festivities at its center that will be loved by kids of all backgrounds. Joel is a short, funny-looking 12-year-old, a talented magician with a loving family. He needs a series of Hanukkah miracles: help for his father’s crippling arthritis and his family’s crippling money problems, the affection of a classmate, and – somehow – a way to get through the Winter Holiday assembly where he (the only Jew in his school) and his family are expected to enlighten everyone about their holiday. Great fun, and some genuinely moving moments. In 1983 storyteller Joel ben Izzy graduated from Stanford University and set off to travel the globe, gathering and telling stories. Since then, he has performed and led workshops in thirty-five countries. Over the years he has also produced six recorded collections of his stories, which have won awards from Parents’ Choice foundation, NAPPA, the ALA, and a Booklist Editor’s Choice Honor. Joel is also one of the nation’s most sought-after story consultants, supporting organizations and leaders working to make the world a better place, with clients in fields ranging from philanthropy to medicine to technology to entertainment. Joel’s first book was the highly acclaimed memoir The Beggar King and the Secret of Happiness, which has been published in seventeen languages and is currently in development as both a film and a musical. He lives with his wife, Taly, in Berkeley, California. They have two grown children.